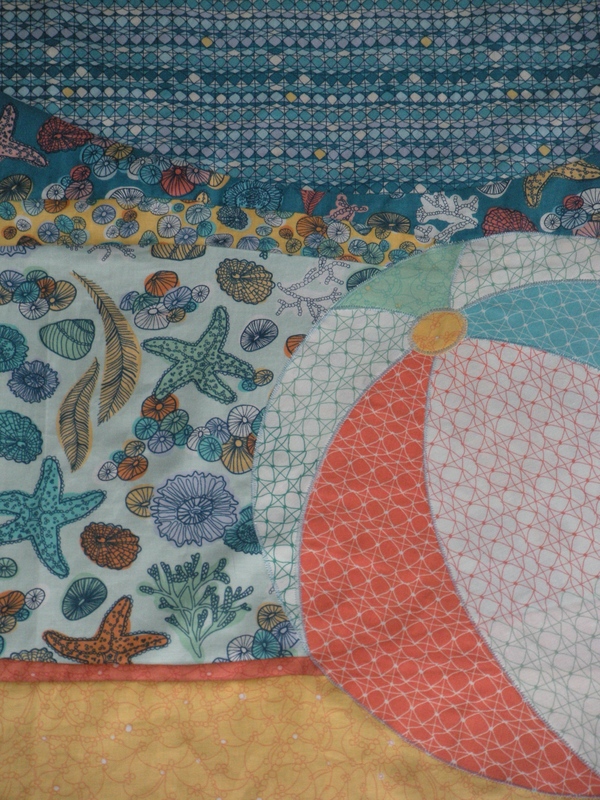 Waves in the water and beach balls, all in one convenient quilt! I finished my curved piecing yesterday! 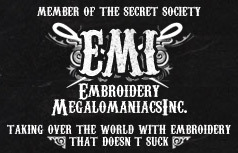 It is really fun, once you get over the initial horror of taking a rotary cutter and slicing randomly through the fabric. 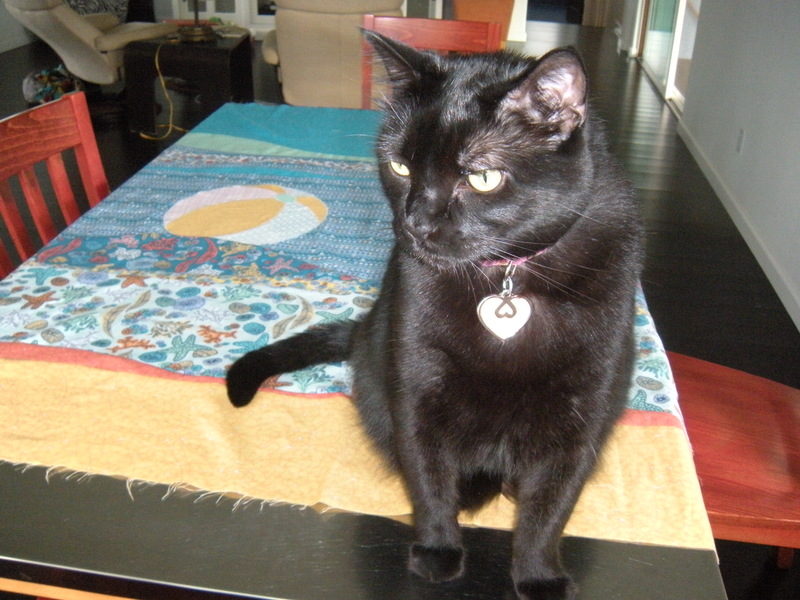 Anytime I need help smoothing out fabric on a flat surface, Tippy the massive cat shows up to offer his services. He is 20 pounds of fabric love. Apparently that front beach ball needed some work. When that beach ball was properly pressed, his work was done. 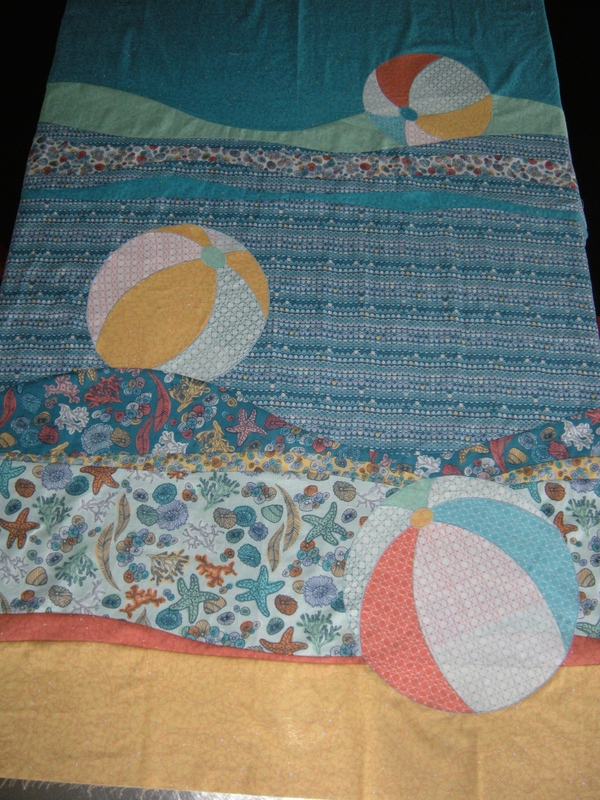 I had the beach ball parts fused and cut out already, so don’t be thinking I performed any super-human piecing tricks. I attached them to the background and zigzagged them on. I ripped out parts of a couple of the seams so that two of the balls would look like they were in the water. Previous I’m making waves, and here’s a curved piecing tutorial so you can make them too! Next Adorable distractions, plant and mammal. And my new blog schedule! 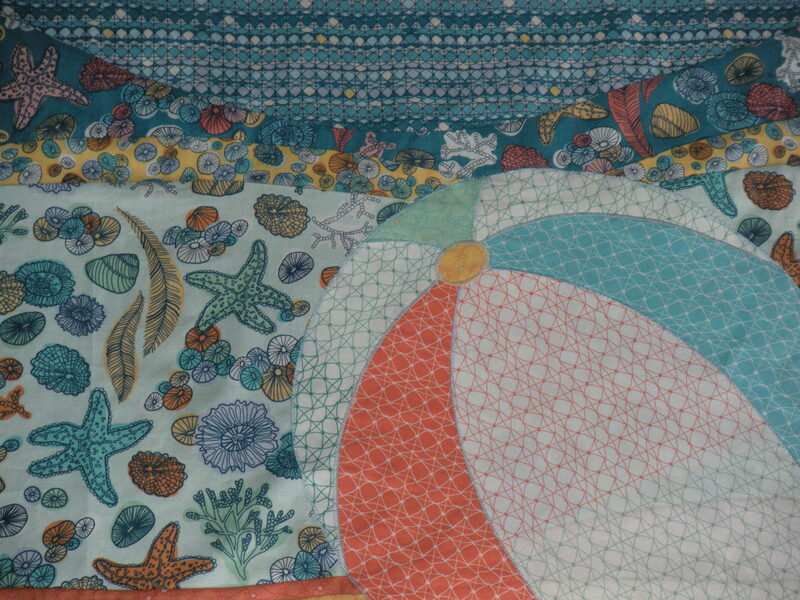 Ok, you are really putting me in the mood to quilt! Love it. 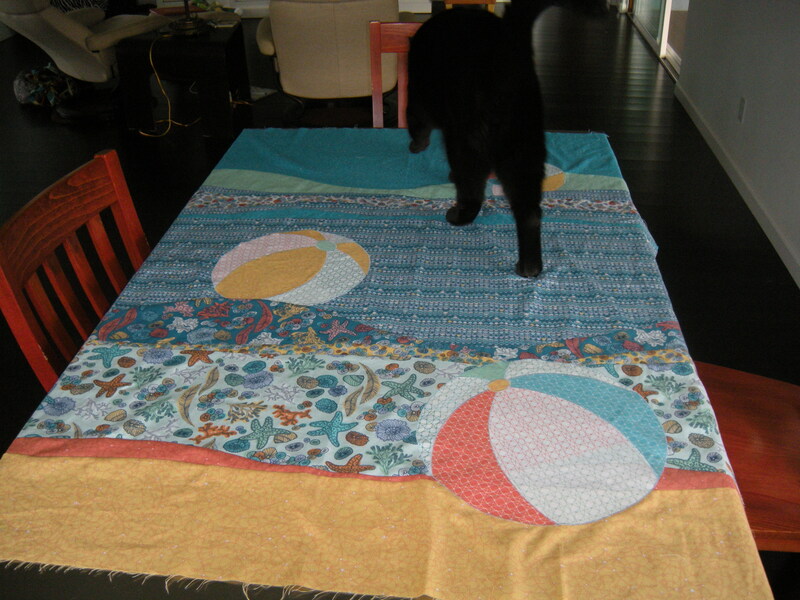 I knew that big cat would be good for something other than attacking loose strings on your fabrics. Love, love, love it!!! So fun and after the harsh winter it feels so warm and inviting!! What fun! I love the look of the balls in the water!